What lies beyond our physical material world? NOTE: The difficulty here is for you not only to believe, but for you to "understand and comprehend" that there is another, unseen state of existence beyond our physical world that mirrors our physical world, a state of existence that exist simultaneously and shares the same point in space with our physical world, a state of existence that we enter after physical death that is known as the Astral World, and that this Astral World (Plane) is just as REAL as the physical world we are living in right now. (4) gained a new perspective into what many believe really happens when we leave this physical world, and the wisdom to prepare for it while still dwelling here on the Material Plane. That said, what follows is my Reader's Digest account of the Astral World. 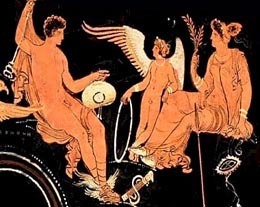 The Greeks described the Astral World as the"heavens of the Greeks and the abode of their gods." In time, the concept of the Astral World expanded to describe what the ancients described as a realm inhabited by etheric entities, disembodied spirits and highly developed angelic beings. The Astral World is invisible to our five physical senses because it vibrates at a higher rate than the energy that comprises the physical, material world. However, clairvoyants and well-trained occultists can perceive this invisible world via astral projection, and with proper training, so can you. 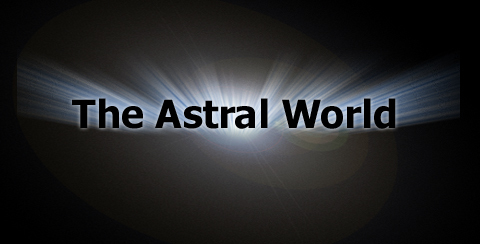 The "Astral World" is often synonymous with the the term "Astral Plane" because it replicates the physical world. This world, or plane, is between the elemental realm and the mental realm. According to Theosophy, the astral world is a realm into which we pass at physical death and where we spend a period of time before moving on to a higher sphere. It is also believed to inhabit not just disembodied souls but also inhabitants of a non-human nature, such as the lower orders of the devas or angels, and nature-spirits or elementals (good and bad) such as fairies, which are just beyond the powers of human vision. First, let's take a BRIEF moment to examine "matter." Matter is composed of an aggregation of an infinite number of molecules and atoms. Every ion, atom and molecule is in constant and intense motion. Now pay attention to this next sentence. The space between the ions of the material atom is as comparatively great as the space between the planets of our solar system. Repeat, the SPACE BETWEEN the ions of the material atom is COMPARATIVELY AS GREAT AS the SPACE BETWEEN the planets of our solar system. Under extreme magnification (of the ion, atom, molecular world) it would appear that there is nothing solid in the material world. Do you understand this sentence? Look at the illustration on the left. Repeat: Under extreme magnification (of the ion, atom, molecular world) it would appear that NOTHING IS SOLID in the material world. In essence, the SOLIDITY OF THINGS (matter) is merely relative and comparative. Get it? The VIBRATION OF SUBSTANCE on the Astral is HIGHER than that on the Material Plane, but SLOWER than that on the next higher plane, and so on. Now here's an interesting aspect: Everything on the Astral seems as solid as it would if it was seen with our physical eyes on the Material Plane. See, (pun intended) the Astral World is just as real as the Material World. The Forces of Nature are not perceptible to the physical eye, yet we know they exist. "Electricity," for example, cannot be seen but it can be felt, so we know it exist by our physical sensory touch / interaction with it. More on this later. The same can be said of gravity. "Gravity" cannot be seen but we know it exist when you trip on a curb and fall on your face. More on this later. The Astral World has scenery, geography, and "things," just as the Material World. These places and things are just as real as England, Rome, the Washington Monument, Hollywood, the Alps, and the Grand Canyon, etc., etc. And the inhabitants are just as real as any people living in any country on the Material Plane. The law of constant change works on the astral planes just as it does on the material plane. Things come and go. Think for a moment, what is the difference between the color red and blue? Answer: The rate of vibration = wavelength / frequency. The same principle applies to the difference between steel and hydrogen gas and magnetism and heat and electricity and light, etc. The difference is in the vibration of the substance (frequency / wavelength.) More on this later. Whether you realize it or not, your physical body has a spiritual, ether-like counterpart. This ether-like (astral) material is an exact energy duplicate of the physical form it encompasses. Accompanied by the mind, this astral body is capable of traveling while the physical body sleeps. This is known as "astral projection." This energy body is attached to the physical body, usually at the navel, by a silver-like cord. More on that later. All of these are on different vibratory levels. While some are consciously controlled, others are not. To project consciously is to project at "will." In this section I will be primarily discussing the act of "astral" or "etheric" projection. Etheric or Astral Projection is the act of your astral body leaving your physical body. When your astral body leaves your physical body, it (you) take all of your physical sensory equipment (sight, hearing, taste, touch and smell) as well as your consciousness with you. Meanwhile, your body lies as if in a coma or deep sleep, completely unaware of anything until you return to it. When you first succeed in "willful" astral projection, you will no doubt be startled, shocked, surprised and/or frightened to realize yourself separated into two parts and that you still possess of all your faculties. Your initial reaction to this experience will most likely be one that (unless you are prepared for it) causes your "instant" return (a snap back) to your physical body. The experience of finding yourself separated from your physical body will probably be unlike anything you may have anticipated. You will be able to see and hear, but until you adjust yourself to this new environment/condition, you will not be able to touch anything; Your hand will go right through everything. Walls and doors will be no obstacle to your passage, nor will distance. When your astral body first leaves your physical body/shell/container, you will have entered one of the lowest levels or planes of the astral world. With knowledge, training and experience, you will come to realize that there are different vibratory levels or planes in the astral world and that you can move (travel) from one to the other by raising or lowering the vibratory rate of your etheric vehicle. With practice, it is possible to lower the vibratory rate of the etheric vehicle to the point where it is nearly that of the physical plane, yet high enough to prevent returning to the physical body. In this case, solid objects do present a barrier and the etheric form is faintly visible to ordinary physical sight. Sightings such as these can be seen or referred to as "ghosts," but they are not ghost in the true sense of the word because they are not physically dead. Note: The photo on the left is for illustration purposes only. I've examined this photo in Photoshop and I have some problems with it. However, it does serve as a good visual of how the etheric form duplicates the physical form, even if the photo may be a photographic time exposure and/or superimposed image. While in this lower vibratory state, it is also possible to move small and light physical objects, and with the help of the presence of some people (in their physical bodies) who are willing to lend their energies (consciously or not) it is possible to move heavier objects. 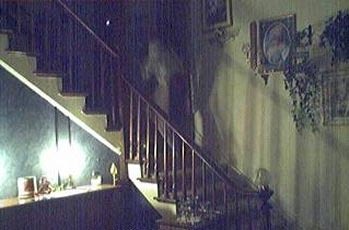 This is one method of how the "poltergeists phenomena" is performed: Using (tapping) the energies from others to move physical objects about and demonstrate seemingly miraculous manifestations. Since these performances are largely mischievous and childish, they may be the result of activity by discarnate childish spirits, who usually use (tap) the energies of living children who are present at the time. It should be noted however, that lowering the vibratory rate to this lowly level is extremely difficult to control. When the astral body lowers to a certain point, it automatically snaps back to the physical vehicle. The opposite of lowering the vibratory rate is the raising of the vibratory rate up to almost sublime heights. As your vibratory rate increases, the atmosphere (so to speak) becomes finer and finer. The higher the vibratory rate, the more we rid ourselves of sensual interests and satisfactions. The feeling of well-being increases and the discomfort of the physical state no longer exists. When you first free yourself from your physical body and you're moving about in your bedroom or other rooms in your house or apartment, you will notice very little difference. You will walk about as before. But what do you do if you want to travel to a distant location? The well-trained and experienced can accomplish this by using the technique of "mentally" placing themselves where they wish to be. 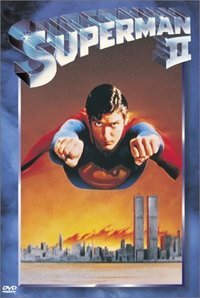 For the rest however, the simplest and fastest way to travel is to literally fly in the air, like a bird, or like a plane, or like Superman, seriously, because to walk would take too long. the good, the bad, and the ugly of it all. A note about my reference sources. I have read many books, reference materials and articles about this subject and many related to it, including personal conversations with many people, a few of whom I realize only now how lucky I was to be in their company, let alone discuss esoteric subject matter with them. Unfortunately, nearly all of the source information is now lost and long forgotten. I searched many of my notebooks but I seem to have neglected to write down their sources. These sources are forever lost; only snippets of the knowledge I learned/studied over the years have been preserved. And, strangely enough, a lot of my quest/thirst for this esoteric knowledge came when I was in my 20s. So although you don't see a lot of SOURCES listed on my website, believe me when I say the knowledge I reveal to you on my website is from a mixture of many sources. Also, I want you to know that I do not profess to be an expert on this or any subject on my website. I am only a Student; a student on the Path of Knowledge and Enlightenment, just like the rest of us on this Material Plane whether we realize it or not.